RIFT players are having a bit of a wild ride the last few weeks. 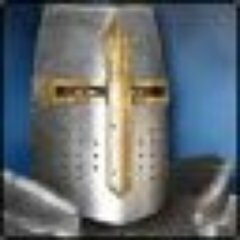 First, Gamigo announced it was nuking the game’s progression server, which had been running only since 2018 and never even made it past the first expansion. Then Gamigo confirmed that it’s planning a battle pass, but it didn’t tell anybody what’s actually in it, leaving everyone to fuss over datamining. “Expert Dungeon: Enclave of Ahnket – The Enclave of Ahnket is a five-man expert dungeon where players will travel from Alittu to the Tower of Ahnket. As they venture to the tower, the Ascended must fight their way through simulacrum standing in their way, before ultimately establishing a base camp for further expeditions. The carnival itself goes live today (at “3:30 server time” – if that’s still PDT, it’ll be 6:30 p.m. EDT tonight) and runs through April 11th, with several mounts on offer (including the racing snail!). Rift celebrating 8 years in this state reminds me of some one celebrating their 100th Birthday in a Hospital Bed the day before some one discusses a MOLST Form and Advanced Directives while the patient’s Health Care Proxy is having ‘that conversation’ with the Doctor after all the Blood Work, Imaging, and possibly Biopsy Results come in. I was surprised the progression server didn’t move faster. For some reason I thought it would be like about 1 year to compress all the content staging… wasn’t the point just to redo all the old raids as they were when it was new? Maybe it took too much effort to implement the original content sequence? I am feeling a little nostalgic but not so much I’d want to recover my account and login. I don’t think. But maybe I should think about that. It seems the idea is that for most/all of this year, try to ‘complete’ the Prophecy of Ahnket expansion (now approaching 2.5 years old) before ever deciding on any significant content going forward. I burned out on the progression server when the population fragmented and it became a wasteland of empty. However, I’d left one character at 49. I heard that if you had a level 50 when the server closed, you get a free level 65 boost on the Live servers plus 1 million loyalty points. So I restarted my patron, logged in, finished that level, and logged back out. Hey, why not? I’ll take the million loyalty if nothing else. I liked RIFT. At one time, I liked it well enough to drop my WOW subs and play RIFT exclusively. I still like many things about the game, but it just feels so dead to log in. There aren’t even people whining about how much they hate RIFT in the chat channels any more—they ALWAYS had that! When even the trolls leave, your game is not well populated. RIFT feels like a game in stasis right now. If you like what it does already, great. Go roll a free account and play. Buy some stuff in the cash store to throw them some money, and enjoy it for what it is. But if you’re a progression fiend always needing to move to bigger, badder, and better, then RIFT has collapsed. I dropped WoW for Rift during Cata. I said it before and I’ll say it again. During Cata, Rift was the superior game. There was a lot of flirters during that time. I remember people threatening to leave WoW for Rift on the forums lol. It’s strange to see the state it’s apparently in now. (Haven’t played it, or WoW, in years).